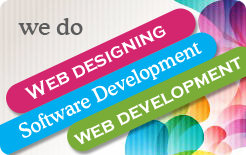 Webpros Solutions Webpros Solutions India is a leading Outsourcing Software Development company. they are India based software Development Company and head office is at New Jersy, USA. They have been in this business since 2001 and have been playing a vital role in satisfying the client's needs and reaching their best expectations. Vijay Technologies, a leading IT Consulting company based in Visakhapatnam is pleased to offer Academic Projects on Computer Science & Information Technology. 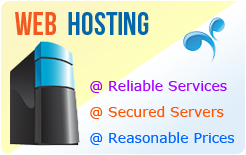 The company is behind many leading Internet Portals. Its Professionals have provided excellent Consultancy Services to a number of clientele. Industrial Trainins Institute is an organisation with biggest challenge today before us is the generation of technical manpower with abilities to install, maintain and manage primary and advanced technology. This is one of the primary needs of a rapidly growing industrial sector. This is a pillar less platform between end user and an employee. User can seek and type of information and get various application forms related to his problem, fill and submit directly to the related department. It is the first online application starting in Vizianagaram by Police Department to render online services to people. We have executed many projects by partnering with Gayatri Printers. 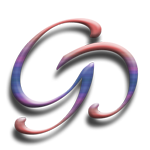 Gayatri Printers is a 28 year old independent company, started its work by designing and printing spectacular products. Company that offers their clients leading-edge technology through consulting, designing, development, on-site maintenance, helpdesk support, packaged software applications, hosting services, training, and more.